My name is Bill St. Clair. I was born in April of 1956. I'm a geek. I've been writing software for a living for over thirty years. Some of you may remember my old blog, "End the War on Freedom". That was mostly a political blog, linking to stories on the ugliness of the world, the war on freedom raging all around us. That war still rages, but it it doesn't have to be in your face all the time. I decided a few days ago that I would no longer look for and fight ugliness. Instead, I'll seek out and create beauty and wonder. This blog is a journal to record my findings. 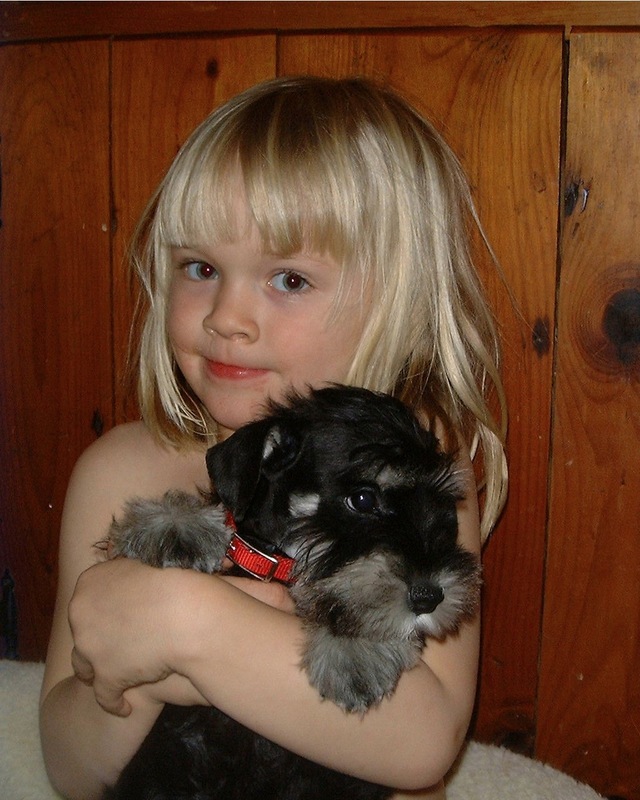 Here's a photo of my daughter, Victoria and her new puppy, Sherry, taken many years ago. One of my favorites. Click on it for a larger version (1024x1280, 300K). Now some housekeeping. The home page shows the last ten posts. To see older posts, either find them in the "History" section of the right column, or navigate a category with the arrows in the upper-right-hand corner of each post, or use the links to the previous ten posts at the bottom of each post. The links in the "Navigation" section of the right column work as follows. "home" goes to the home page of this web site. "journal home" goes to the home page of the journal. "settings" lets you log in, register, change your password if you've lost it, and a few other things if you have adminstrator permissions. "categories" goes to a page for each post category. Those pages show the last ten posts in each category. "photo index" goes to a page indexing all the photo posts. "FAQ" is this page.